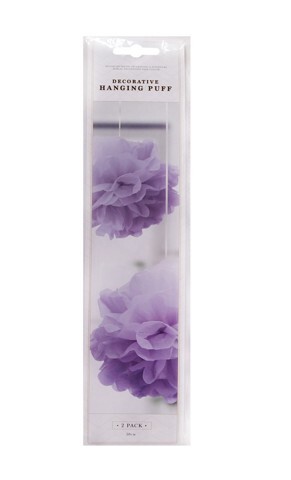 Deco Hanging Puff Purple 2Pk. Diameter of Pom: 30.5cm. Purple. 17gsm Tissue Paper. 0 Packaging: Hang Sell OPP Bag with Fold Over Colour Insert Card.